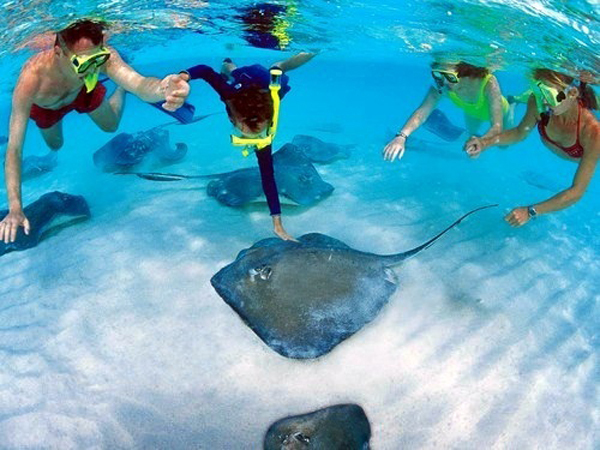 Once again we are so pleased to be able to offer this amazing itinerary to the Southern Caribbean islands. This itinerary includes our most favorite stop in St. Kitts where we will be visiting Carabelle Batiks - a local batik factory on the island. We will be able to offer a special tour of the facility where each person will make their own piece of batik fabric. 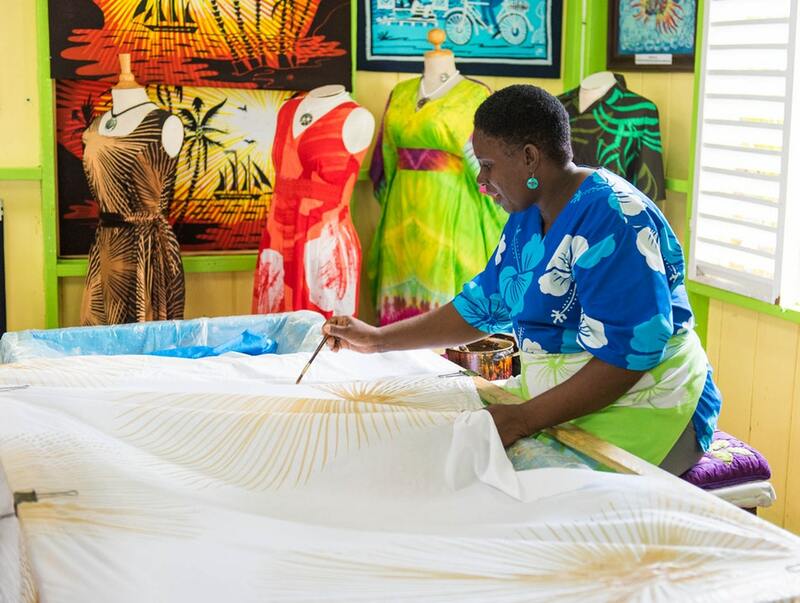 You will learn the process and the history of batik production on St Kitts. This is only one of many beautiful islands along the way and we will also have 5 days at sea which means more sewing time! I hope you can work it out to be able to join us on this fantastic journey! If you have never been on a quilting cruise you have missed a real treat! Since 2010 Stitchin' Heaven Travel has offered quilt-related cruises to literally hundreds of satisfied guests. See reviews from our happy travelers here. Raija was born and raised in Eno, a quaint little town in Eastern Finland. Raija met her soul mate and the love of her life while studying in the US. They are the proud parents of two adult daughters. 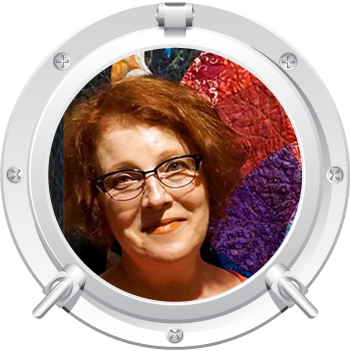 Though avidly sewing since elementary school, quilting was something Raija didn’t know anything about prior to moving to the States. The moment she saw her first quilt it was love at first sight. 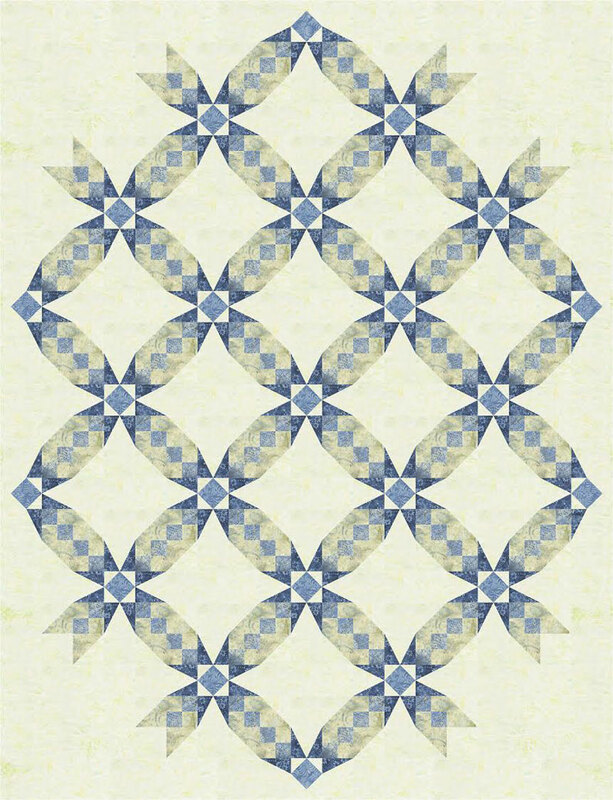 Raija’s desire to become a quilt pattern designer started almost immediately, and her pattern company – Quilters’ Treasure Chest was born in 2004. Her designs have been featured in multiple national publications. 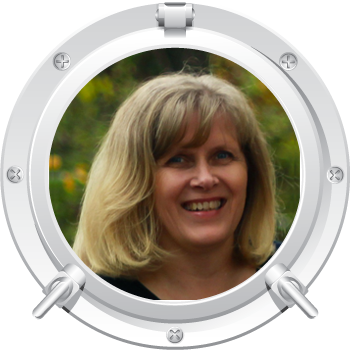 Raija loves tools that make accuracy easier, so it's no surprise she is a certified Studio 180 Design instructor. 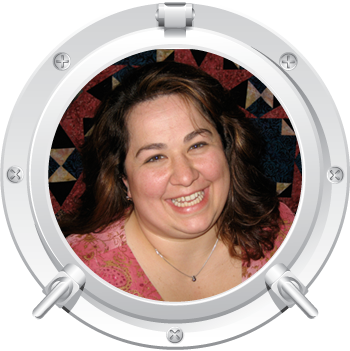 She enjoys lecturing at guilds and teaching workshops and currently resides in Arkansas. The composition of “Rise ‘n Shine” includes 15 beautiful fabrics from Island Batiks. The combinations of color and textures have been carefully selected and arranged to create this colorful and energizing large throw quilt. Combining a variety of complimentary Batiks adds movement and constancy with minimal definition, which is especially illuminating with intricate piecing. Delightful hues of purple and green flow effortlessly in and inward/outward motion. Fanciful Flying Geese, in hues of reds and corals, accent and finish the block’s shaping in a visually appealing way. Making “Rise ‘n Shine” combines patchwork and foundation piecing. I know you will enjoy the “Rise ‘n Shine” journey! This gorgeous quilt was picked out by Clay, Deb's son and pieced with the help of his Mom. 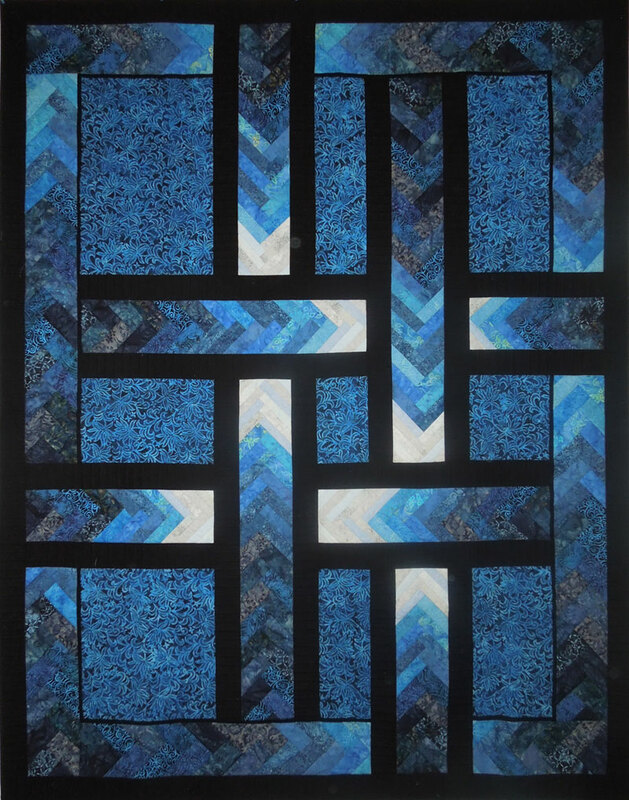 It features an array of beautiful blue batiks ranging from light/light to dark/dark. 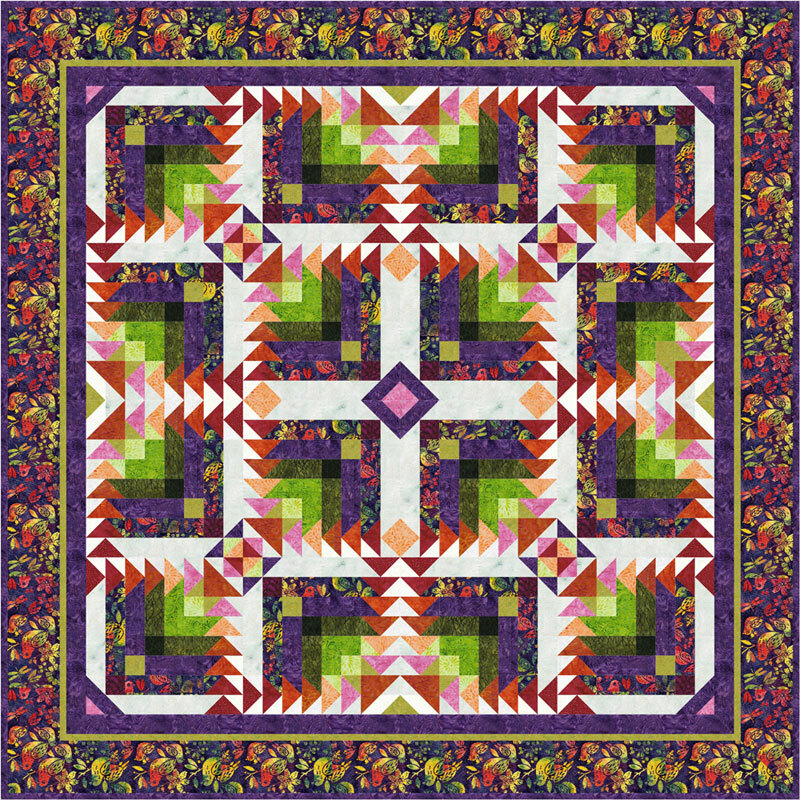 The design, a pattern named "Autumn Paths" by Ilene Bartos, is a beautiful braid that weaves throughout the quilt giving it motion and interest. Placement of the lightest colors in the center of the quilt makes it look luminous and glowing. Finished Size: 74 1/2" x 94 1/2"
Raija has a way with fabric, colors and design and she has outdone herself with this amazing quilt project and she is very aware of the need for precise, accurate, and easy-to-follow instructions. Colors of the Wind takes advantage of using Studio 180 Design tools that will help you give spectacular results that you can be very proud of! 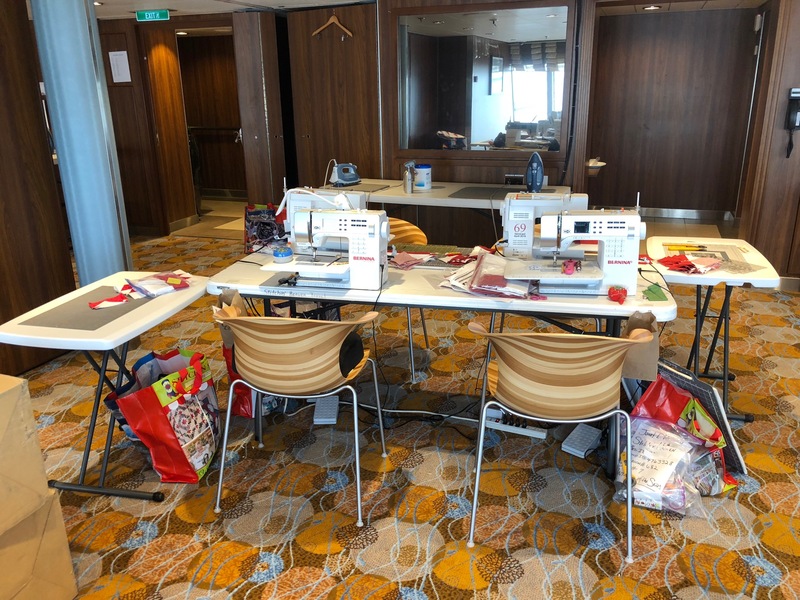 Be a part of the group of quilters who will have time of their lives in this cruise while learning great tips and tricks to make this quilt that is sure to become one of their most cherished ones! Finished Size: 59" x 77"
Required Tools: This project requires the following Studio 180 tool Square Squared Ruler, V Block Ruler, and the Tucker Trimmer I. They are all required and are not included in the Sail 'n Sew. Our incredible Sail 'n Sew fabric pack includes all of the fabrics and patterns for your projects and they are pre-cut so all you need to do is sit down and sew! The price of the Sail ‘n Sew fabric pack is $495.00 and it includes all three of the projects for this cruise. If you would like to buy individual kits, please call for pricing. If you would like a Sail ‘n Sew pack, just let us know when you make your Reservation and we'll have a kit waiting for you on the ship. Order early as supplies are limited. If you do not wish to purchase a Sail 'n Sew Fabric Pack, remember to pack your own fabrics. We will not have fabrics available for purchase aboard the ship. You will need to bring your fabric pre-cut and ready for class. You must also bring your pattern or book. You can purchase the patterns here: Rise 'n Shine, Clay's Braid, Colors Of The Wind. Behind stone walls, Old San Juan charms with 500 years of history, colorful colonial buildings and streets lined with shops, galleries, and cafes. 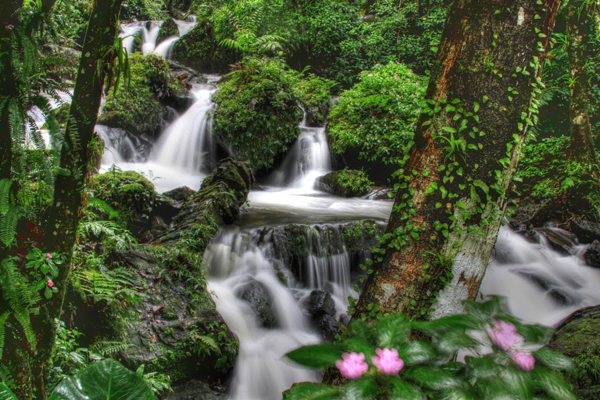 Experience Puerto Rico's enchanting natural side in the nearby rainforest. When you're in San Juan, don't miss the opportunity to witness the pinnacle of natural beauty by exploring Puerto Rico's El Yunque Rain Forest. It features more than 240 species of trees, hundreds of miniature orchids, and what was once believed to be the Fountain of Youth. When the Spanish closed their colonial fort on St. Maarten in 1648, a few Dutch and French soldiers hid on the island and decided to share it. Soon after, the Netherlands and France signed a formal agreement to split St. Maarten in half, as it is today. Philipsburg displays its Dutch heritage in its architecture and landscaping. The island offers endless stretches of beach, beautiful landscapes and great shopping. Compete in an actual race on an America's Cup shortened course. Grind a winch, trim a sail or just sit back and enjoy. Professional sailors will give you a quick lesson, then you're off to compete on Stars and Stripes, one of the most famous sailboats in the world. When shopping on Front Street, it's fun to stop in and see Nick Maley, the Yoda Guy. The first settlement on the island we now know as Antigua was not established until the 1600s, when English settlers arrived. Antigua remained a part of the British Commonwealth until its independence in 1981. Today, Antigua is a popular vacation destination, attracting tourists with its ideal climate, amazing landscape, leisurely lifestyle and 365 beautiful beaches - one for every day of the year! 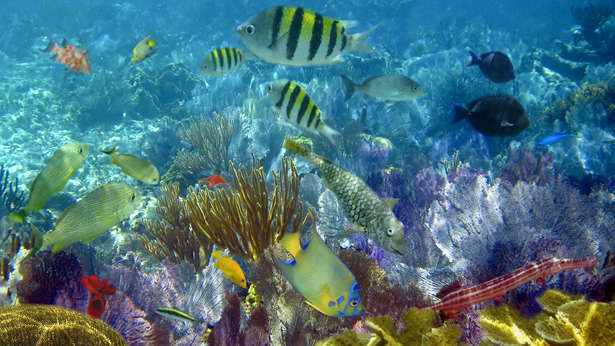 You can snorkel among stingrays, trumpet fish and blue tangs just to name a few of the local St. John's Antigua marine life. St. Lucia has been a part of the British Commonwealth since 1803. But prior to that, it was often occupied by the French, which is evident in much of the island's culture. Castries offers a colorful local market and great shopping. 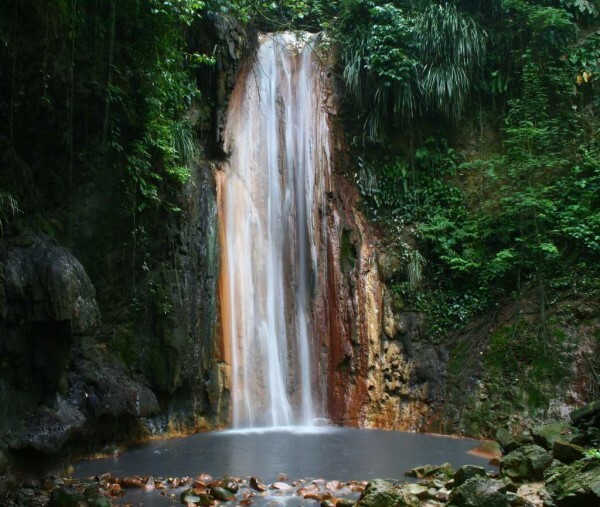 And the surrounding areas offer lush rain forests, striking waterfalls, beautiful beaches and Sulfur Springs - the world's only drive-through volcano. See the beautiful coastline of St. Lucia from the deck of a catamaran. You'll have an unbeatable view of the scenery and get an exhilarating ride, too. With dormant volcanoes, golden sand beaches and gorgeous green hills, St. Kitts is a beautiful backdrop to your Caribbean adventure. Discovered in 1623 by the British and settled by the French in 1625, the island's deep colonial history is reflected in the abandoned fortresses, as well as its landscaped gardens, city squares and architectural details. Whether you're a history buff or just want to take in the scenery, be sure to visit the 350-year-old estate, Romney Manor, once owned by a British earl. The beautiful grounds include magnificent gardens, exotic plants and an amazing African Saman tree, which covers half an acre and is believed to be as old as the estate itself. 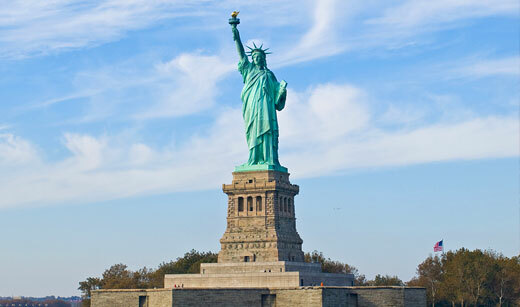 Note: We have a private shore excursion arranged for this day. Spaces are limited so if you are interested be sure you sign up for it when you register. Below is more information about it. 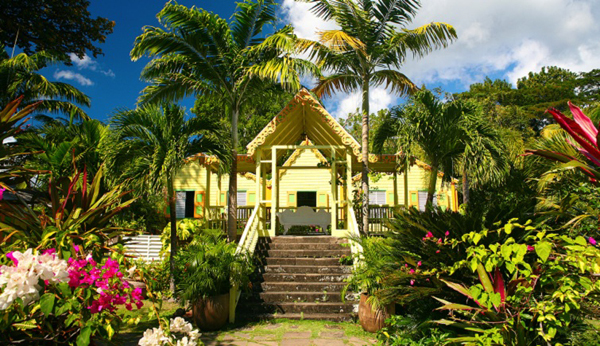 Enjoy a historical and scenic drive through the capital, Basseterre whilst witnessing 17th century architecture of the surrounding buildings located at the center of the capital; take in the rugged countryside beauty of St. Kitts on a leisure and scenic driving tour to the Romney Manor/Caribelle Batik and its pristine gardens. Exclusively, planned for you, be prepared for the “back of the house” tour. You are invited to have a hands-on experience of making your own sample batik fabric and… guess what? Yes… It is yours to keep! Concluding this exciting experience feel free to take photos in the lush botanical gardens and browse the unique souvenirs from a wide array of options at the gift shop. Your tour conclude with a short drive back to the port. Return to Cape Liberty, New Jersey. The Conference Center on Anthem of the Seas is located on the 13th floor at the back of the ship. This is a beautiful space that features floor to ceiling windows. We will have a maximum of 60 quilters seated 4 to a table. When we find it necessary to do 4 to a table, we provide two of the 4 people with a side table so everyone has a comfortable sewing space. Here is a video about Anthem of the Seas and all the amazing things it has to offer. *Non-sewing guests will receive a $250 discount. Port charges, taxes & fees of $532.04 are not included. 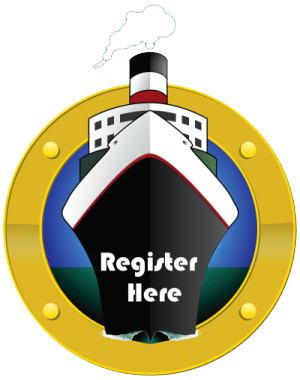 You will be responsible for getting to and from the ship in Cape Liberty, NJ. NOTE: There are times that the Conference Center can be chilly. Be sure and bring a light sweater just in case you get cold.